Spruce, pine and fir are the main families of coniferous trees fueling the global forest products sector. They provide the raw material for just under 60% of wood products in the world. Products derived from these species are used as construction materials for buildings, for paper and paper products as well as fuel for heat and power production. What is even more astonishing is that coniferous forests of the northern hemisphere taken as a whole are constantly increasing their carbon stock while providing one billion cubic metres of wood every single year. Many forests in Europe even doubled their carbon stock per hectare in the past 70 years. Every single cubic meter of wood stores the equivalent of one tonne of CO2 – this CO2 is stored over the lifetime of the trees and beyond, if their wood is used in long lasting wood products. Growing attention is being paid to the potentials of wooden forest products, as demonstrated in discussions during the seventy-sixth session of the UNECE Committee on Forests and the Forest Industry, taking place this week in Vancouver, Canada under the title COFFI2018 ‘building the future with forests’. Delegates from across the world came together in Vancouver, British Columbia, to participate in the COFFI2018 meeting. Government officials, forest products trade associates and members of the private sector took part in the Market Discussions, which had a special focus on the economic links, challenges and opportunities in trading wood and wood products with countries in the Asia Pacific, namely China but also Japan and South Korea. The growth potential for these markets are significant. For example, global demand for sawn softwood would almost double if China’s per capita consumption of wood were similar to the average of Europe. Currently China’s per capita consumption is about one fifth of Europe’s and less than one tenth of North America’s. The rate of increase in the consumption of sawn softwood in China is nothing short of amazing, having increased more than ten-fold between 2000 and 2017. UNECE region sawn softwood (and pulp) producers have had a significant period of increased demand and higher prices (in some cases, record prices). However there has been a sharp dip in North American prices this summer that is likely to be short lived, as indications point to increasing demand and thus rising prices in the near term. The southeast of the US has become a major region of growth in the sawn softwood sector, the result of an oversupply of pine sawlogs given the current capacity of existing sawlogs in that area. However, this area is seeing many investments in existing mills and greenfield projects, so supply of raw materials and sawmill capacity is expected to align better in the future. 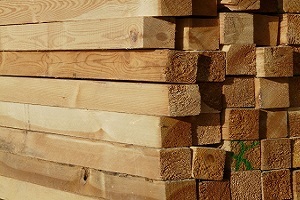 European sawn softwood producers have had a long period of growing markets and have become adept at reorienting export markets, when demand in one region wanes, to supply an emerging market, such as Asia. Russian sawn softwood production has been increasing, led by growth in exports, with China leading as an export destination. This has occurred simultaneous with a reduction in log exports, which was the intent of policy measures (namely export tariffs) implemented by the Russian Government. There has been significant growth of Chinese investment within the Russian Federation to produce sawnwood for export to China. The current trade disputes between the US and China and the US and Canada regarding wood products is adding volatility to current markets and future marketing plans for producers and consumers on both sides of the Pacific Ocean, with exports of wood products from the US to China currently dropping. The forecast for forest products markets is for increased demand, the result of a pent-up demand for housing in the US and significant growth potential in Asia. While the growth potential of China is widely recognized, and Japan and Korea are seen to be reliable destinations for export, the potential for India is seen as being a highly important future market. The importance of construction was acknowledged as a driving force in demand for wood products and within the construction sector, and there is a growing consensus that off-site production of housing (modular, prefabricated and mass timber components) will become much more important. This will be driven not only by the growth of cross-laminated timber (CLT) panels for the construction of tall wood buildings, but also by constraints in the availability of workers for traditional (onsite) fabrication of buildings. In addition, green building initiatives in the UNECE region and in the Pacific-rim of Asia will continue to seek low carbon solutions for building, which bodes well for wood products. These market overviews and the following discussion, which addressed the key developments and drivers of change for the forest sectors in the region, will be reflected in the report of the meeting.